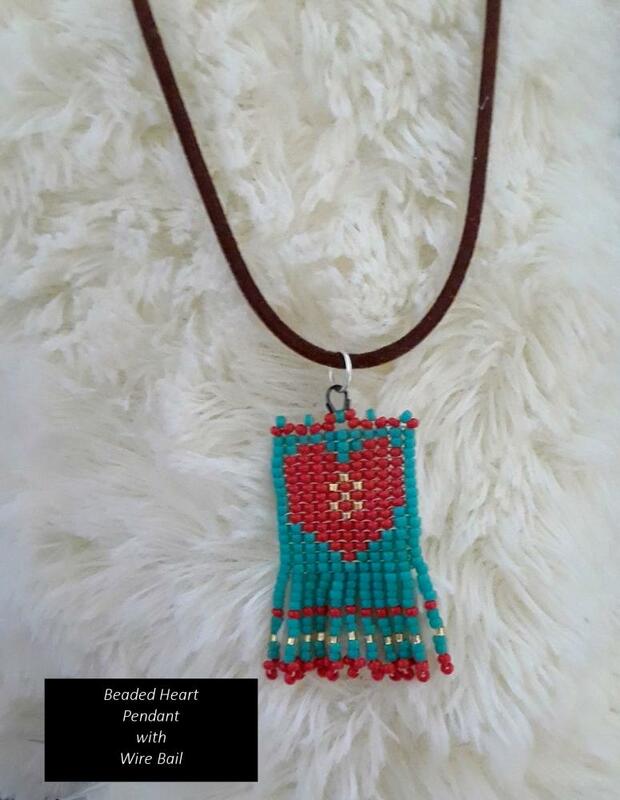 This beaded pendant is worked in Square Stitch and has a heart motif. The pendant is worked with Czech 11/0 seed beads, and the wire bail integrated into the top edging gives a secure place for a jump ring. The finished size of the pendant is 1" wide, by 1-1/2" long (with fringe). The pattern includes a color beading graph along with a word chart, and instructions for inserting the wire bail.